I have decided to participate in a Project Life Blog Circle this year. Hopefully I will be able to keep up with my 2014 pages and also catch up on my 2013 pages. If this is your first time visiting my blog welcome. My name is Lisa, I am the wife to David. We have three children ages 11, 8, and 2. I have been digital scrapbooking since 2002. When my son was about 8 months old I decided that I wanted to start scrapbooking. It was around Mothers Day and one of the craft stores by my house was going out of business so I decided to go get some scrapbooking supplies. My plan was to make a collage of all my sons monthly photos and give it to my mom and mother in-law for Mothers Day. Well I started on my project and I did not like the way it turned out. I looked like a 2nd grade had made it. The letters that I had cut out by hand look really bad. Then the thought came to me that I could do all of this in Photoshop. When my husband and I were in college we both took a multimedia class and learned the basics of Photoshop. So I when to work and the results where more like I had envisioned. This is one of my first layouts. 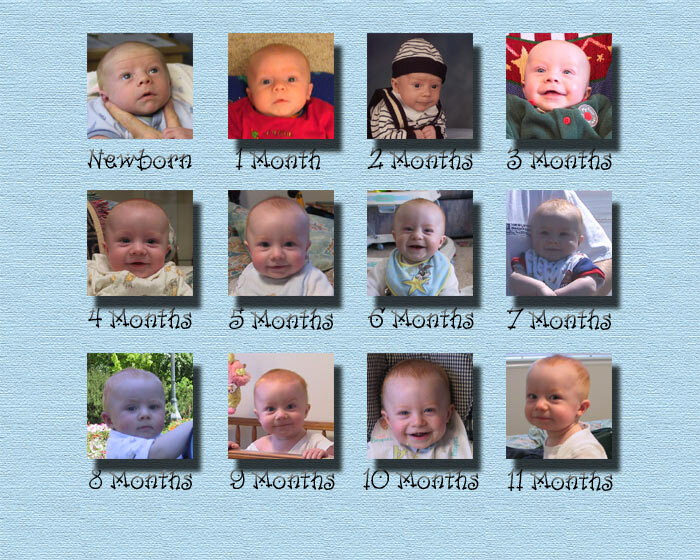 When I look at this I think to myself “boy you have come a long way.” I have to laugh at the big shadows and I have no idea why the newborn photo does not have a drop shadow. The background is really simple and there are no elements mainly because at the time there were not digital scrapbooking stores like there are today. If you wanted an element or a paper on you page you had to make it yourself. 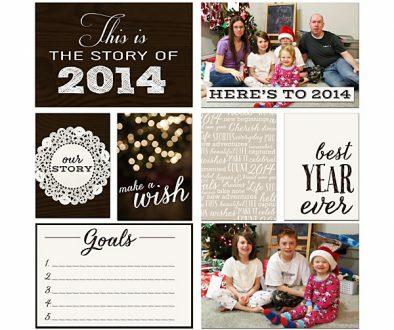 Digital scrapbooking has come a long way. Last year I started doing Project Life and I love it. I love that I can do it any way that I want. I can choose to do a weekly spread or a monthly spread. There is no right or wrong way to do it. This year I will be participating in a blog circle were we all share our Project Life layouts each month. Please make sure to click around the circle and check out everyone’s pages amazing pages. I am laughing with you about old layouts. My first ones had zero shadows! I’ll be excited to see how your style evolves this year. Wow, love those drop shadows! 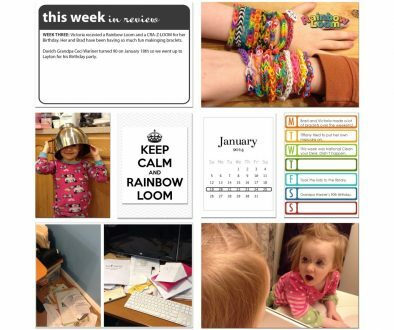 😉 Look forward to seeing more of your Project LIfe layouts in the blog circle this year! I cringe when I look at some of my first layouts, but your right, it does remind you of how long way you’ve come. These old layouts still keeps the memory, right? Just looking at your son’s smiling faces makes me happy!